Krysten Lindsay Hager is an author and book addict. She is originally from Michigan and has lived in South Dakota, Portugal, and currently resides in Southern Ohio where you can find her reading and writing when she’s not catching up on her favorite shows (like Hart of Dixie, The Goldbergs, Dallas, and Devious Maids.) 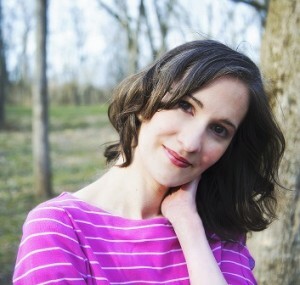 She’s worked as a journalist and humor writer, and also writes middle grade, YA, and adult fiction. You can find her work in the Patchwork Path anthologies: Friendship Star, and also Grandma’s Choice and in several of the Country Comfort Cookbooks as well publishing many humor essays and news articles. Her debut novel, TRUE COLORS, was released by Astraea Press in June 2014. TRUE COLORS is my debut novel. It came to be after I finished an independent study where I worked on a novel and my professor told me I should write the book I wanted to read. I thought about it for a few days and remembered a book idea I had back in the sixth grade. I went to my computer and started writing. I often type left-handed while eating a snack with my right hand. Also, I have a weird superstition about anyone sitting in my special writing chair–I fear it zaps the creative juices if anyone else sits there. I call F. Scott Fitzgerald my literary boyfriend. I really love his work. I have to admit I didn’t connect with, “The Great Gatsby,” the first two times I had to read it in class (in 7th and 9th grade). Then, two years ago, I saw an F. Scott Fitzgerald quote that spoke to me and I bought the book and this time all the symbolism, the theme–it all came together for me. I read, “The Great Mom Swap,” by Betsy Haynes in the fourth grade made me want to write my own middle grade book. A year later I read, “Good-bye Glamour Girl,” by Erika Tamar, which is a great coming-of-age novel about a girl moving from Europe to the U.S. during WWII. I am working on a continuation of TRUE COLORS that picks up right where I left off in the story with Landry and her mom getting off the train in Chicago. I also have another MG/YA novel, as well as an older YA novel I’m working on and an adult novel. I think Twitter has been great to connect with other authors and readers. Take a lot of literature classes to learn from the masters and also take creative writing classes. I’d say read as much as you can in the genre you want to write and get into a critique group. I”South of Superior” by Ellen Airgood and “Manhood” by Terry Crews. My daughters and I loved True Colors. Looking forward to the next book in the series.